Although you’d think the headline is a joke, it’s not. Illinois police have threatened to kill their drug-sniffing dogs if the state has the nerve to grant the peasants living under their tyrannical control the freedom to grow and smoke a plant. Today, anti-marijuana advocates offer a new, insane reason why we shouldn’t legalize weed. K-9 units are trained to detect a variety of illicit substances, including weed. However, once marijuana becomes legal, the police can no longer use these dogs because they won’t need to sniff out “illegal pot” use. 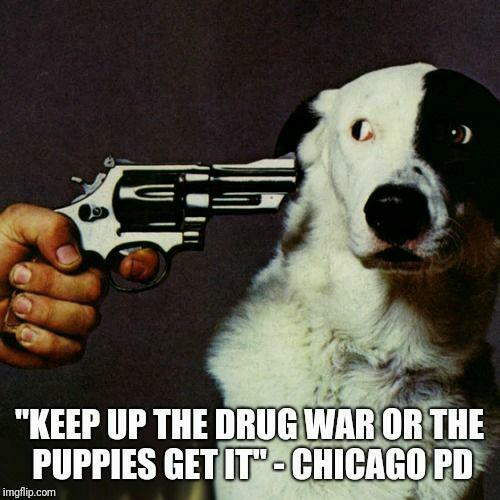 So, in a bid to protest legalization, the Illinois police have threatened to kill their dogs if marijuana is legalized. This could mean euthanizing hundreds of dogs trained to sniff out marijuana and other illegal substances. Animal abuse is nothing new to police, however. Some cops have been shooting dogs “just because” and always get away with it because of the magical badge that grants them the rights to abuse people and animals, apparently. With the legalization of weed in a number of states and more to come this fall, many cops are wondering what to do with weed-sniffing dogs. But more accurately, they are probably more worried about the gross amount of money their department will lose when marijuana is legalized. No more locking people away for the non-violent victimless crime of smoking a plant. But, since it has proven difficult to retrain the drug-sniffing dogs, some police officials are suggesting that they’re better or training new K-9 Units. And, it’s apparently abusive to attempt to retrain the dogs to no longer detect cannabis, but slaughtering them because people have been granted more freedom by their oppressors is somehow not abusive. Director of K-9 Training Academy Chad Larner explained to the Pantagraph that retraining would be “extreme abuse” since their original training is deeply ingrained. Steve Petrilli of the Normal Police Department agreed. “At this point, they’re trained on five different odors. 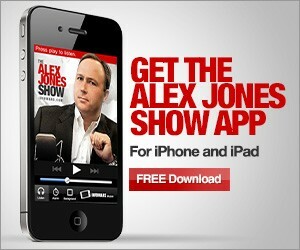 Once they’re programmed with that, you can’t just deprogram them,” he said. Many are concerned by the implications of legalization in Illinois, whether it’s the cost of retraining police dogs or the moral implications of killing animals for something we trained them to do. Others view this issue as a distraction from the bigger picture: people would be “granted” more freedom from their oppressors.